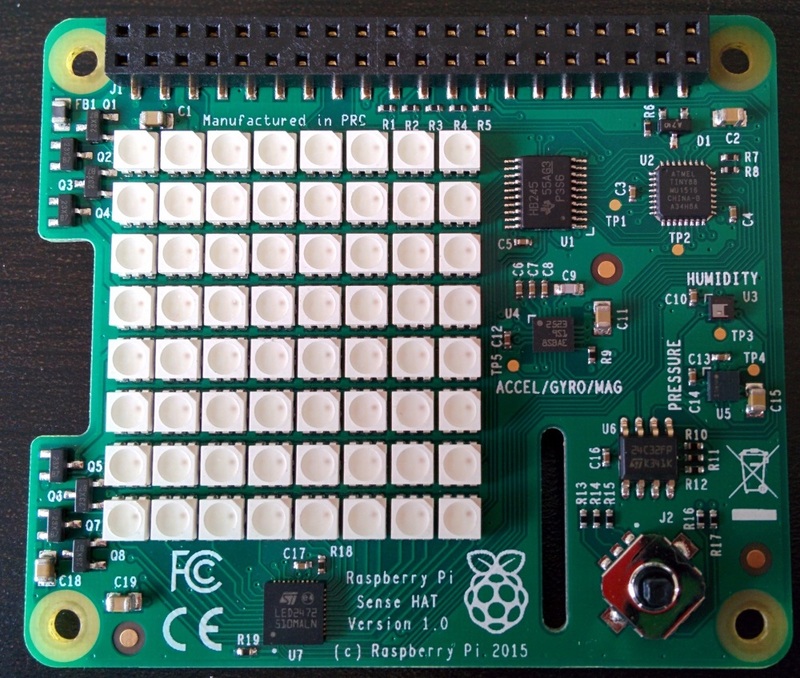 I recently acquired a Sense HAT for the Raspberry Pi. 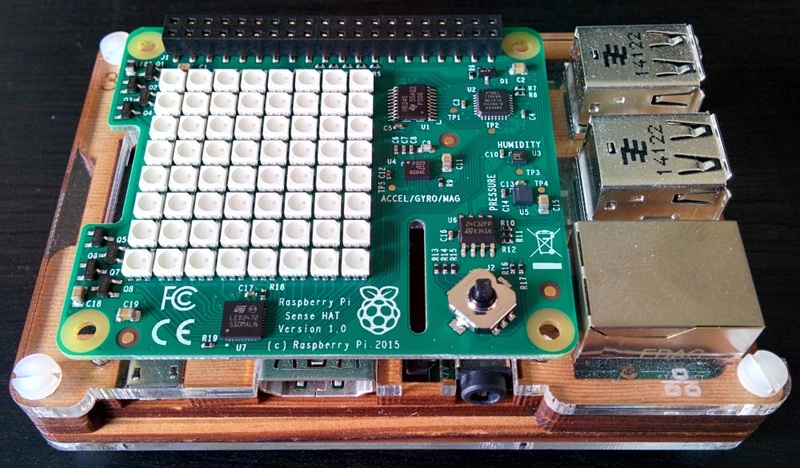 This is the same hardware that will be sent in to space as part of the Astro Pi mission. Here it is. It’s a shame that it’s made in China (PRC) and couldn’t be manufactured in Wales like the Pi is. I guess the cost is too high. Here is it installed on a wooden coupé pibow case. It’s pretty easy to program and the API is well documented. A nice touch is that you can configure the LEDs to rotate to whichever direction you have the Pi mounted. Here is a quick demo I knocked up. There is a new worksheet available for making a magic 8 ball from the Sense HAT. 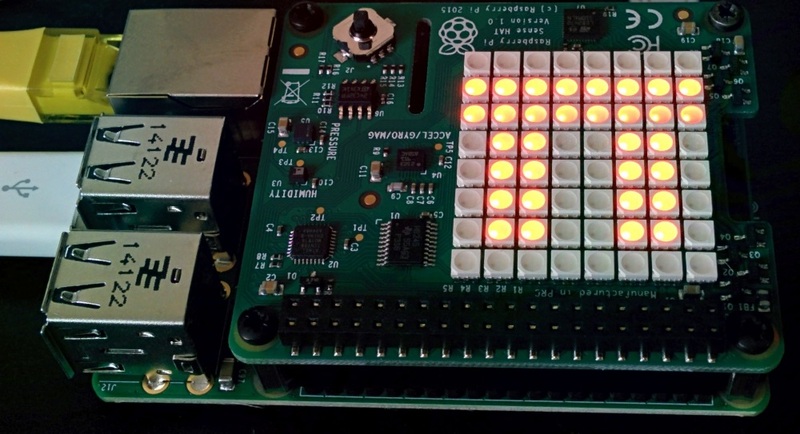 It uses the accelerometer to detect shakes and displays a random message on the LED array.